Former Walt Disney sculptor Chuck Williams raised USD 57,000 in just a week against the USD 34,000 target. 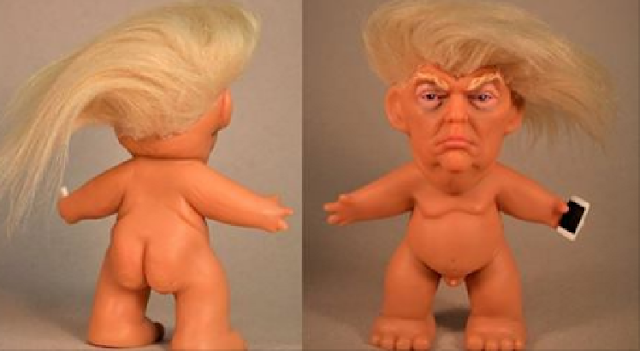 He turned to Kickstarter in order to crowdfund mass production of 45th US President Donald Trump's naked troll doll. After Trump took Oval Office, US streets are hit by daily protests against him due to his extremist and radical policies. Donald John Trump is an American businessman, television personality, politician, and the 45th President of the United States. What is Crowdfunding:Crowdfunding is the practice of funding a project or venture by raising monetary contributions from a large number of people. Crowdfunding is a form of crowdsourcing and of alternative finance. In 2015, it was estimated that worldwide over US$34 billion was raised this way.